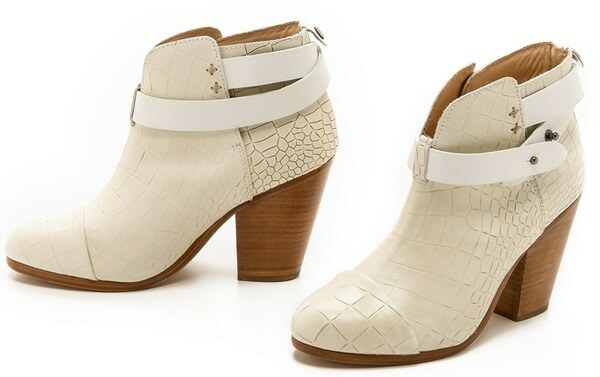 The leather ‘Harrow’ booties from Rag & Bone have been around for several years already, and we’ve previously featured Julianne Hough and Taylor Swift sporting them. Having just announced a new record deal last Friday, Hilary Duff was spotted running errands in Los Angeles on Monday. She sported a pale purple t-shirt featuring the image of a teddy bear over her heart, green khaki exercise leggings, a leather biker ‘Ashville’ jacket by IRO, Ray-Ban sunglasses, a floppy wool fedora by Rag & Bone, and a multicolored pompom keychain by Gypsy05. 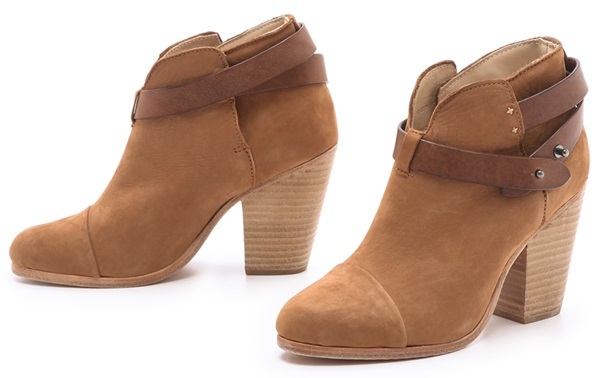 Hilary completed the outfit with a pair of Rag & Bone ‘Harrow’ booties. 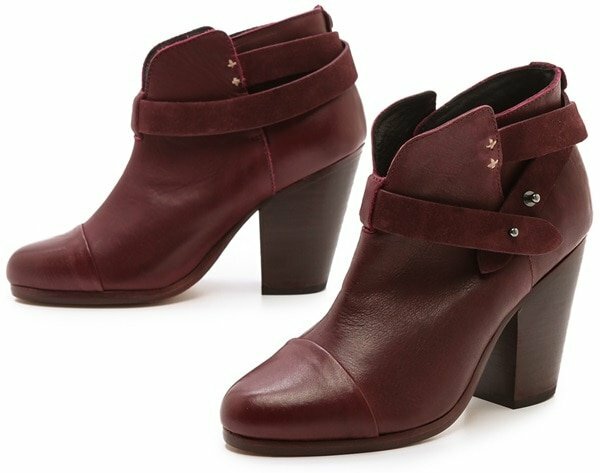 The Rag & Bone ‘Harrow’ booties are available in a wide range of colors at Nordstrom and Shopbop. 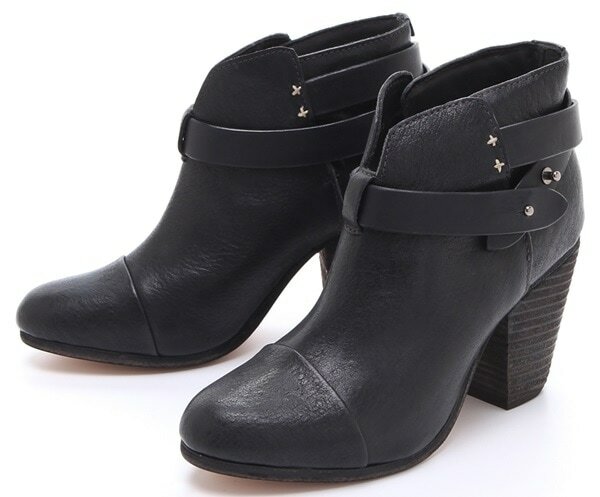 They feature button closures at the wraparound ankle straps and stacked heels. Have you found your next booties?